MTN was fined by the Nigerian Communications Commission (NCC) in 2017 for breaching directives on SIM registration. The Minister of Justice and Attorney-General of the Federation, Malam Abubakar Malami, said this while briefing State House Correspondents on the outcome of the FEC meeting. According to the minister, FEC’s action is part of the approvals for four memoranda submitted by the Justice Ministry to FEC for consideration. “The third memo was for approval for the payment of professional fees to the lawyers that were engaged by the federal government relating to the case that was instituted sometime back by the MTN against the federal government in pursuance of penalty of over N1 trillion imposed by government against MTN. 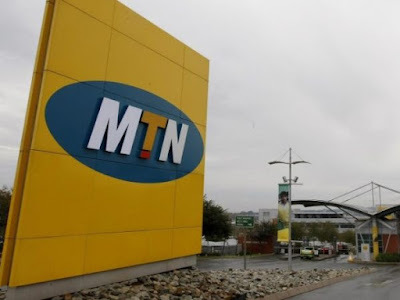 “MTN as you could rightly remember instituted an action seeking to constrain the federal government from making recovery of the over N1 trillion penalty that was imposed on it. “So arising from that the federal government engaged the services of certain solicitors, lawyers to now put up a defense on its behalf. “Arising from the defence that was put in place by the lawyers the case was eventually settled by the parties amicably. “And arising from that settlement the lawyers were entitled to their fees. Malami said that the fine was arrived at after a compromise whereby the communication giant agreed to pay N330 billion instead of N1 trillion imposed on it by the NCC for breaches in its communication activities. He said that the said legal fee was professional fees to the lawyers who stood for the federal government in the matter. The minister said that lawyers from NCC and Ministry of Justice were involved in the case but based on the sensitivity of the case and in line with international best practices additional support was sought from outside. “It is about operating on the side of caution to ensure that diverse skills, professionalism and expertise are brought in the defence of the federal government. “And that has paid off taking into consideration that the lawyers by way of cross-fertilisation of ideas, support worked together in the spirit of ensuring the success of the case. “They have worked together by way of cooperation and collaboration and succeeded in recovering N330 billion in favour of the federal government. “It is not about vote of no confidence (in NCC Lawyers) but about collaboration and enhancing the capacity and ensuring that at the end of the day the desired result is achieved and I think the result justifies the means,’’ he stated. The minister explained that in assessing the quantum of amount being paid to the lawyers the volume of the amount recovered and the requirement that about five per cent of the amount was to be paid in line with international practices. He said that the N500 million was justified as it was less than one per cent of the recovered amount.